Welcome to the 2018 MOR! 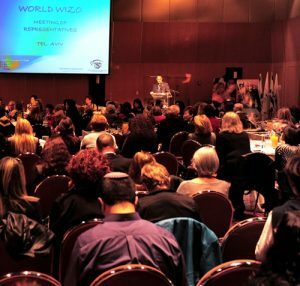 As in previous years, the Meeting of Representatives (MOR) of World WIZO will take place in Tel Aviv January 14th-18th, 2018. 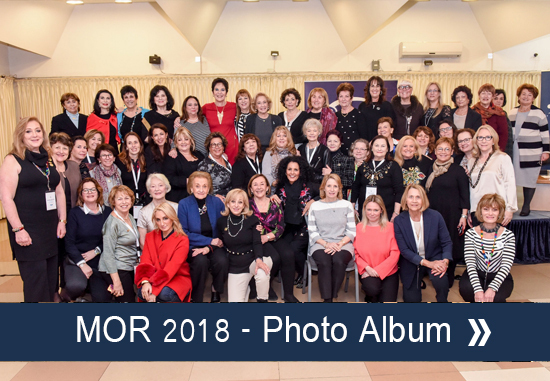 This year, we are holding the World WIZO Meeting of Representatives (MOR) at the Rebecca Sieff House – WIZO Headquarter, where we will have an opportunity to reunite with our fellow WIZO Chaverot from around the world and celebrate our wonderful achievements. As you participate in the MOR this year, you will be able to visit our institutions and projects and see with your own eyes the impact that WIZO’s work has on the lives of the most vulnerable in our society. This year, as the State of Israel will be commemorating its seventies anniversary, our World WIZO Meeting of Representatives (MOR) will be a celebration of the daring and joint journey of WIZO and Israel. From 1920, WIZO contribute to the progress and the enhancement of the children, the youth and the women of Israel. WIZO is neither charity nor philanthropy. WIZO is helping others to help themselves, we give importance to the welfare of another person so that they can develop and grow. Over these seventy years, we, WIZO and the State of Israel, have come a meaningful way together and we will keep progressing thoughtfully and solicitously for the sake of the Israeli society and the Jewish people around the world. During the MOR, you will have the opportunity to share the unique and great contribution that each one of your Federations has made to the betterment and the empowerment of the Israeli society. You will visit our institutions and projects; you will see with your own eyes our achievements, the WIZO impact. You will encounter the women, youths and children WIZO empower, you will enjoy the fruits of your efforts. Together, we continue to strengthen the Israeli society, and serve as a crucial link between Israel and the Diaspora. Today, WIZO’s mission is more relevant and vital than ever. My dear Chaverot, I am certain that your participation at this year’s MOR, the year of the seventies anniversary of our beloved state of Israel, will help you feel the power of our sisterhood that has achieved so much during all this great and challenging years. I am certain that each tour, each session and each moment together will enhance, strengthen and empower you to continue the wonderful work you are doing every day for the State of Israel and for our people. I wish us all a fruitful, meaningful and uplifting MOR. For cancellations between Dec 1 – Dec. 31, a 1-night cancellation fee will be applied as well. Daniel Benn (32) was born and raised on Moshav Devora near Afula. He served as an emissary in the USA prior to his enlistment into the IDF, where he served as an officer in an elite combat unit. After completing his military service Daniel was accepted into the Atidim Cadets for Public Service. This program aims to help improve the face of public service in Israel by integrating specifically trained, top-quality personnel in the public service sector. 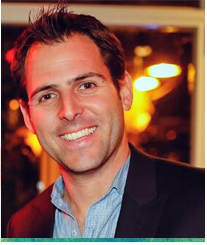 Daniel earned his bachelor’s degree in Political Science and History from the Hebrew University of Jerusalem parallel to completing a full course load at the School of Public Policy. After graduating from the Atidim program he worked at the Ministry of Internal Security and the Ministry of Culture and Sport as a Senior Coordinator, Project Manager and Advisor to the Director-General. He also joined an organization engaged in strengthening and developing the Negev and the Galilee as an administrator. 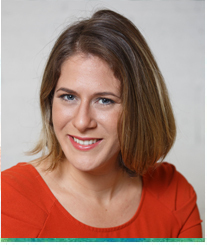 Altschuler has won multiple awards, including the “Tamari Award” in 2005, in 2006 the “Bernstein Award” for Social Leadership; in 2008 she was announced “Israeli Woman of the Year” by LIONS; in 2013 she received the “Rappaport Award” for leading social change in the Israeli society; In 2014, Adi was elected by “TIME” Magazine as one of the six future world leaders, and in the same year she was chosen to speak at the UN on Social entrepreneurship as a vehicle for growth in developing countries. Previously, Ms. Palmor served as the Director of the Department of Pardons in the Ministry of Justice. 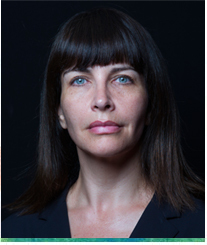 In that role, she was responsible for preparing the Minister of Justice’s recommendations for the president of Israel, regarding pardon requests, including relief from prison sentences, fines, disqualification penalties & removal of a criminal record. In addition, Ms. Palmor was a Member of the Negotiation Team for the Release of POW Gilad Shalit, and has been appointed to coordinate and carry out political gestures for prisoner release to the Palestinian Authority. Ms. Palmor sees the Ministry of Justice as “the foundation stone of the existence of the rule of law and as the protector of human rights in the State of Israel – a Jewish and democratic country”.